Hi everyone, Karen Giron here. Can you believe it's already time for the 10th challenge of the day? I'm so excited to bring you our next challenge, and I do hope you'll join me! Time to get those creative juices flowing once more with a sketch! CHALLENGE: Make a card or scrapbook page with this sketch and let your creativity flow! KEYWORD: Upload your creation to your blog or online gallery (or both). 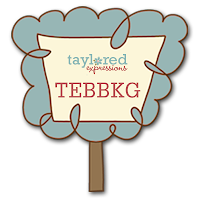 If you’re uploading to online galleries, use the keyword TEBBKG. Then come back to this challenge and leave a comment with a direct link to your creation! In order to be eligible for the prizes, you must leave a comment with a link to your card by midnight PST Wednesday, September 9th. 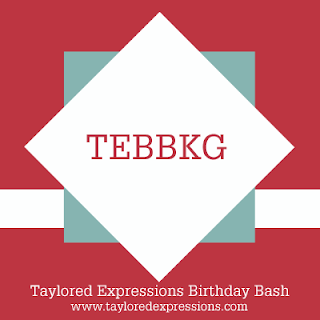 PRIZE: I will choose my favorite creation from among all the participants and mail you the card I created for this challenge along with a $10.00 gift certificate to the TE Store! Woohoo!! For my card, I stamped the little Cuppie and cake image in Memento Rich Cocoa and colored it with Copic Markers. I used my square Nestabilities to cut out the image and scallops and then added some fun ribbon to dress up the card just a bit. It is a very simple, yet fun card! Have fun with this layout - I can't wait to see your creations this week! I love this! It's so clean and neatly put together. Great colors too. GORGEOUS sketch Karen! I am totally going to play today!! Great colors, great sketch!! Thanks!! Here's mine...what a great sketch! Cute sketch! Here is mine. Here is mine combined with Sharon's shabby chic challenge! Such a fun sketch to try, thanks so much! What a fun sketch! I just love it, and your card is just too cute! Great job hosting! Adorable card and great sketch! Thanks. Here is my card! MY CARD. I used a circle instead of a diamond. I just loved this sketch Karen!! i combined a color challege #8 with your sketch! thanks for the fun!